UPDATED: Thursday, Aug. 9 at 1:58 p.m. The California Public Utilities Commission (CPUC), which recently blamed PG&E for causing a major power outage at Valero's Benicia refinery last year, has decided not to punish the utility for the mistakes that led to one of the worst Bay Area refinery accidents in years. The commission concluded that PG&E's inadequate training of operations personnel and slow response to the failure of an electrical component led to the May 5, 2017, outage, which triggered a major release of toxic sulfur dioxide and prompted emergency shelter-in-place orders in Benicia. "PG&E has agreed to take corrective actions that, in CPUC staff's opinion, would prevent a recurrence of the problems," commission spokeswoman Terrie Prosper said in an email. "SED (The CPUC's Safety and Enforcement Division) does not plan to issue a citation with penalties at this time, but will monitor to ensure that PG&E addresses the problems sufficiently and in a timely manner," Prosper said, adding that if things change, the commission could reopen the probe and cite the utility. The CPUC's decision did not sit well with the area's elected leaders. "I think it's outrageous," said state Sen. Bill Dodd (D-Napa), who represents the area. "Not only continually has PG&E's safety protocols been called into question, but now this leads me to call into question the oversight of the California Public Utilities Commission." On Thursday Dodd sent a letter to CPUC President Michael Picker, expressing outrage over the agency's decision. "I have a difficult time understanding why the CPUC would fail to take any punitive action," Dodd wrote. State Sen. Jerry Hill (D-San Mateo), a longtime critic of PG&E, was also surprised to hear that the commission was not penalizing the company. "They clearly violated the law," Hill said in an interview Thursday. "To give them a pass certainly does not bode well for the change in culture and policies and prioritization at the PUC where safety is supposed to be paramount," said Hill, who's been pushing the commission to be a stricter regulator of PG&E since the 2010 San Bruno pipeline explosion. "It indicates a systemic problem with PG&E," he said. "The CPUC should do its job, enforce the law and cite PG&E. 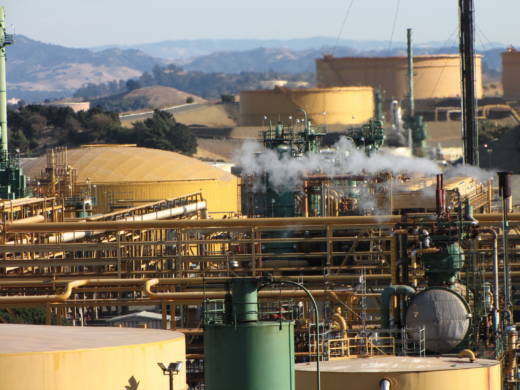 Benicia Mayor Elizabeth Patterson, who has been pushing for the city to have more oversight over the refinery, said the CPUC's decision means it failed to consider that the city was gravely affected by the outage. "Residents and workers in Benicia are at risk because the CPUC cravenly fails to ensure that PG&E provide adequate training when working on power supply to the Valero refinery," Patterson said. The mayor says the commission should have considered fining PG&E for costs associated with the city's opening of its emergency center and the work its police and firefighters did the day of the outage, among other sacrifices Benicia made in dealing with the refinery accident. Valero, when asked to comment on the commission's decision, reiterated that blame was on PG&E for the entire episode. "We agree with the CPUC report, which found that PG&E violated state regulations and is solely responsible for the May 5, 2017 power outage," company spokeswoman Lillian Riojas said in an emailed statement. "PG&E must take the necessary corrective actions to prevent this from happening again," Riojas said. PG&E disputes the CPUC's findings and continues to blame Valero for the incident, but says it's taking steps to prevent a similar problem. "Since this incident, we have completed several corrective actions ... including adding alarms and alerts, regularly reviewing work processes and making changes to verification status of protective systems and holding regular refresher trainings for operators," said Deanna Contreras, a PG&E spokeswoman, in a statement.